I was first introduced to this incredibly talented woman through Kamikaze Girls, known as Shimotsuma Monogatari (下妻物語) in Japan. I was enthralled by her beauty and acting skills. Anna Tsuchiya also had released her first album around that time. I love every single song from it. I fell in love with her rocky attitude and versatile style. When I found out I was going to Japan with my navy husband, I made a promise to myself to see Anna Tsuchiya live. Well, three and a half years with half a year left to go in this country, and it seemed like it just wasn’t going to happen. I was going to see DJ Verbal at a summer concert on Zushi beach at the Otodama Sea Studio. As with many events I plan to attend here in Japan, I always make sure to double check the time and date of everything. 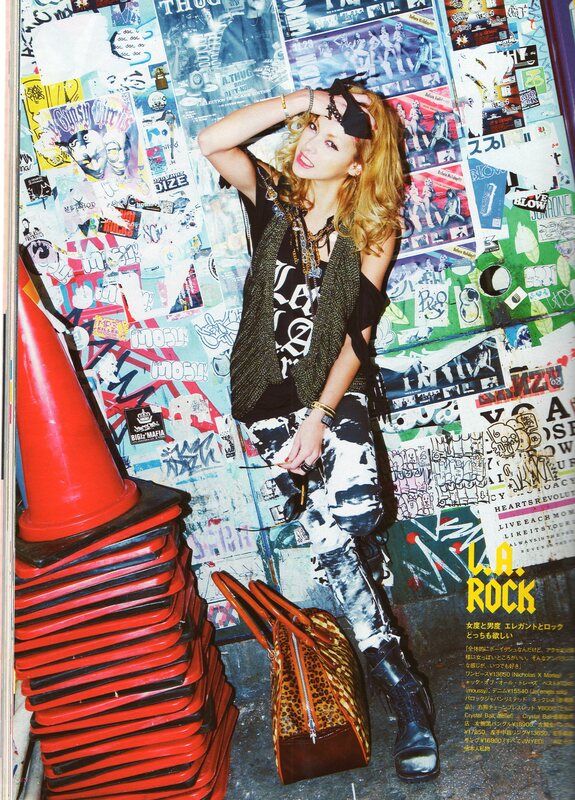 That’s when I happened upon Anna Tsuchiya’s picture from her latest album, Rule. I was thinking, “No way… Anna Tsuchiya, there? For 4000 Yen?? ?” But it’s true. Here, look for yourself. It’s true, right? My eyes aren’t playing tricks on me? I know for some this may seem incredibly stupid, but I really do have an unhealthy obsession with this actress/model/singer. And I think you should, too! You can find Anna Tsuchiya’s music on iTunes. Unfortunately, her latest album isn’t in the US store, so you’ll just have to purchase that on YesAsia. I’m also going to attempt to get a signature on that one.